This was this past weekend’s outfit (yes, I wore the same outfit twice!) to run errands. I’m taking baby steps towards mixing prints (as mentioned here), and in this outfit, I relied on polka dots yet again, which I consider relatively neutral, mixing it with some splashes of yellow print for Spring. 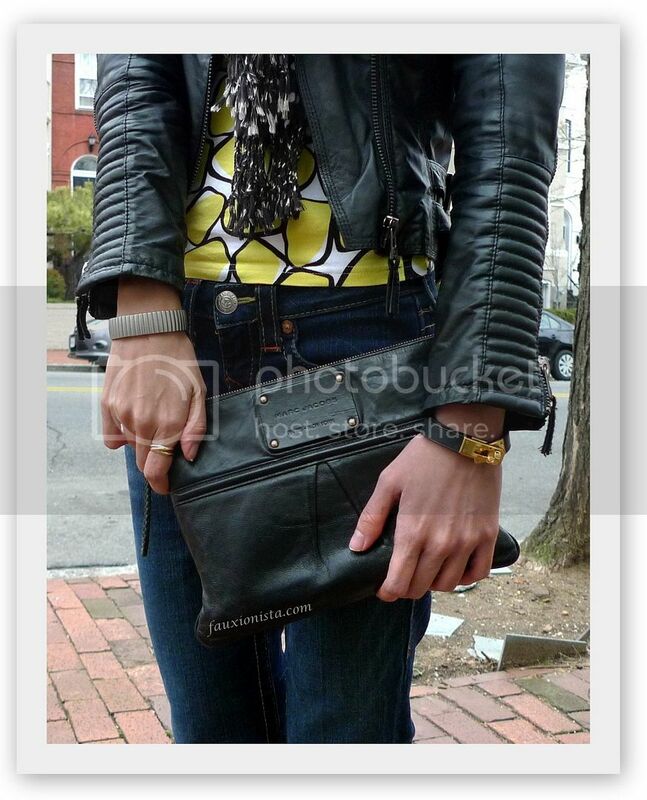 This entry was posted in Fashion, Outfit and tagged Cartier, DvF, GAP, Hermes, Marc Jacobs, Old Navy, Swatch, Trinity, True Religion, Valentino, ZARA on March 18, 2013 by fauxionista. Hello from sunny Malaysia! 🙂 I hope those who got hit by the Nemo storm are doing okay. I’m sending you sunshine from here! For the longest time, I have resisted from buying or owning any maxi dresses as I thought it only made me skinnier than I already am. I definitely however changed my mind once I bought a long dress/gown for a company event (it was just all in my head!). I now own two maxi dresses and I packed along this maxi dress for my trip which I just bought recently. This entry was posted in Fashion, Outfit and tagged Cartier, GAP, Hermes, J Crew, Kate Spade, Marc Jacobs, Michael Kors, Nasty Gal, teal on February 12, 2013 by fauxionista. As mentioned here, it’s our company’s Xmas holiday party this evening, and I decided to keep to the same color scheme as the previous outfit – navy and red. I am however, incorporating mixed prints to it, stars and polka dots, both classics in my book. 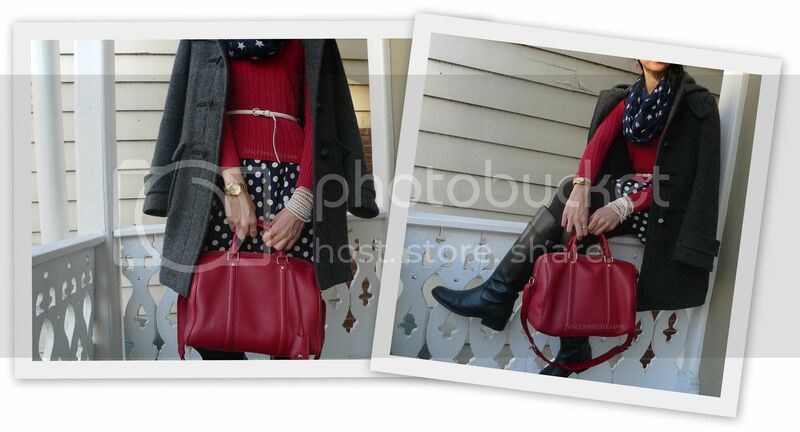 This entry was posted in Fashion, Outfit and tagged Ann Taylor, Cartier, Cherry, Esprit, GAP, H&M, Kate Spade, Louis Vuitton, Michael Kors, polka dots, Sofia Coppola, stars, Uniqlo, White Circus on December 11, 2012 by fauxionista. I’ve always love motorcycle jackets aka moto jackets and am eager to add one to my wardrobe. There’s just something edgy and unique about the asymmetrical zipper! Here’s are some of my picks for less than $200. Which do you like from above? Otherwise, please do share if you have a favorite in your existing wardrobe! 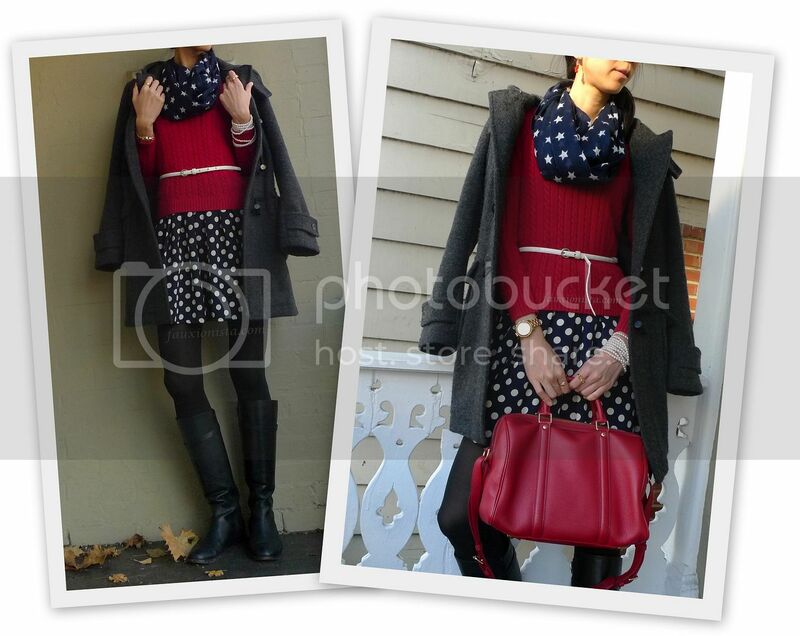 This entry was posted in Fashion, Shopping and tagged Ann Taylor, Calvin Klein, GAP, H&M, Hinge, jacket, Mango, moto, motorcycle, ZARA on September 29, 2012 by fauxionista.